SAIC alum Alicia Perrillo (BFA 2016) is among the six new designers to watch out for named by Forbes magazine along with Annika Klaas, Atelier M/A, The House of AmZ, Atelier Grandi, and EmulEos. Global Fashion Collective produces runway shows in various fashion capitals to support emerging designers. They launched at Amazon Fashion Week Tokyo in October 2017 and showed there again this month. Perrillo launched her brand in 2016 following her graduation from SAIC with a focus on luxury fabric and detailed handwork. 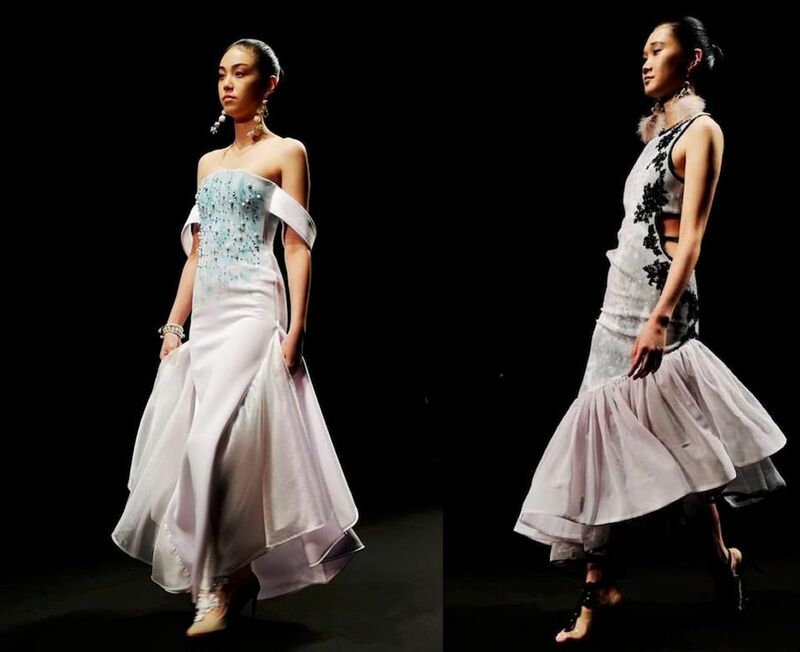 She was handpicked by Global Fashion Collective along with five other designers to take part in Amazon Fashion Week Tokyo on October 18, presenting their spring and summer 2019 collections. Perrillo’s collection is marked by her trademark contemporary silhouettes combined with old-world couture. According to Forbes her designs, “...brought a whimsical soft color palette of lavender, grey, pale pink, fold and white to the ultra-feminine gowns shown on the Tokyo runway.” She used techniques like painting and embroidery to pay homage to her late grandmother. A particularly notable dress is claimed to have been her showstopper—a white fishtail gown with pale blue frills and a pale pink painted effect accessorized with tassel earrings.